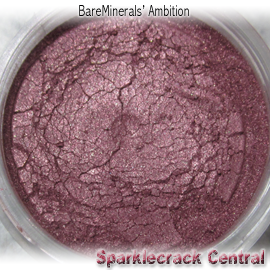 Ambition is “the pink eyeshadow” in Storybook Romance…but it leans rather cool. It's more of a magenta-mauve, than a deep pink. This is almost a less-cool, more opaque cousin to Wildflower. The coverage is nice and solid, and I get no staining when swatching it over bare skin. 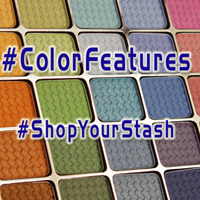 The shimmer finish is softer, not reflective or refractive enough to be a pearl finish, but just a bit rougher than satin.